A few things I’ve noticed from talking to people about their understanding of veganism and what it takes to eat a plant- based diet is, people defeat themselves before giving it a true attempt. They’ve either heard one horror story about a person who was following a vegan diet and decided to give it up, or they think it’s too hard before they ever try it out. So, this is my attempt to help ease some of those apprehensions with a few personal tips. A key factor I’ve noticed people don’t understand is that there are many ways to achieve a vegan diet. There isn’t one way to be vegan. It isn’t a religion, no matter how crazy that “vegan hippie” you randomly met may have seemed to you. Just like there isn’t one way to eat meat or conduct yourself as a human. Vegan just simply means you don’t eat meals with animal products. So, in other words, all vegan products and people are not the same. And, trying one brand of vegan cheese or veggie burger doesn’t mean you’ve tried them all and can surmise from that experience all vegan options lack the flavor complexity needed to be considered a serious option. Keep an open mind when trying plant-based products. If you consume a tasteless or poor quality hamburger you wouldn’t condemn all hamburgers in the world as being worthless, so apply that same logic and principle to consuming plant-based products, as well. Buy your produce from local producers at farmers markets or farm stands. They typically have a wealth of knowledge about their produce and are happy to share it with any person willing to genuinely listen. A few good questions to ask are: Any suggestions on how I should prepare this? What’s the best method of storage and how long will it last? How do people most commonly use this item? Do you know of any particular health benefits? Do you know of any non-traditional ways I can use this item? Prepare a large amount of one or two grains of your liking and store them in the fridge. Grains usually take a lot longer to cook than veggies and can easily be steamed to be brought back to life when you’re ready to add them to your meal. You can also do this with beans that you like. Remember to switch it up and explore beans and grains you may have never tried and figure out how to incorporate them into dishes in creative ways, like trying out quinoa and mushroom stuffed bell peppers or blending black beans with garlic powder for a simple side of “refried beans” that can be paired with multiple dishes. 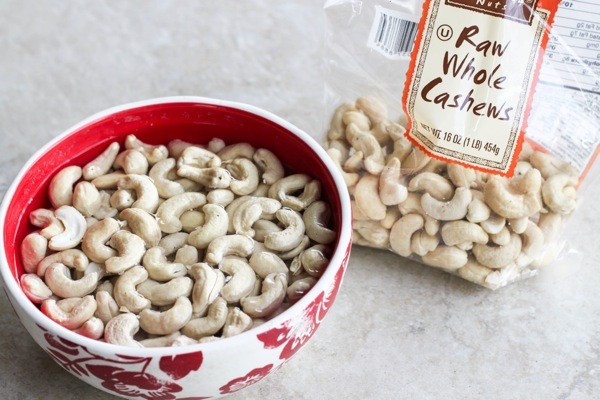 Soak an entire bag of cashews (usually 1 LB.) overnight, strain and store in the fridge in a mason jar or any type of airtight container. Soaked cashews blended with a little water are commonly used to make creamy sauces, including garlic alfredo, salad dressing, and even sour cream. Make one or two simple herb pestos. Blend your herb of choice with water, fresh garlic, avocado or olive oil and sea salt. I suggest cilantro and basil (separately). They last for months if stored in a jar and refrigerated. Pesto is a quick and easy way to add flavor to your dishes. You can use pesto as a topping, add it to homemade or store bought sauces and salad dressing, or as just an overall flavor aid when cooking. 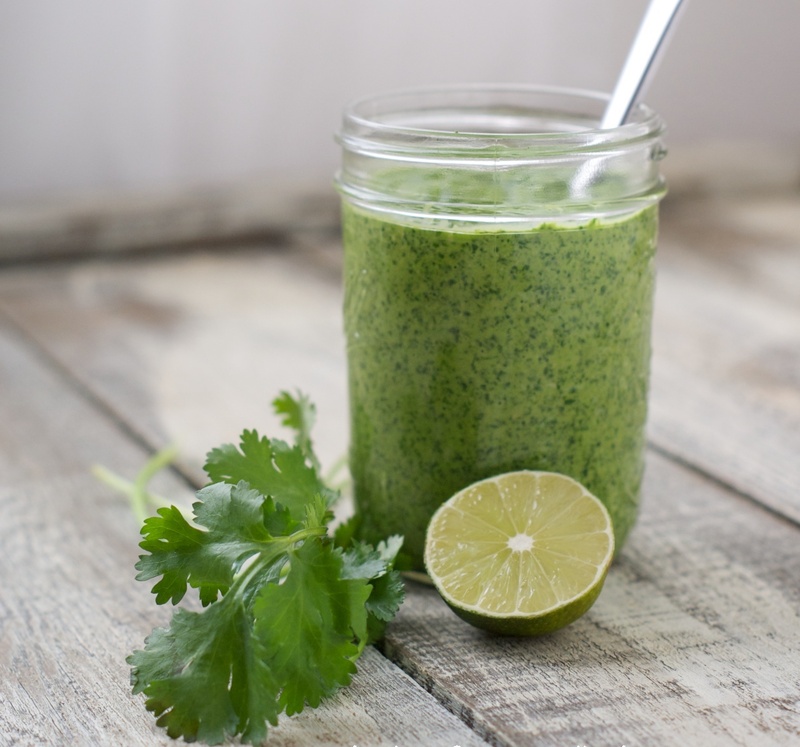 Cilantro pesto, soaked cashews, lemon juice, garlic (fresh or powdered), sea salt and cumin blended up with a little water (or nut milk) make a delicious creamy cilantro salad dressing. Pay close attention to the needs of your body and don’t be afraid to eat meat if you absolutely crave it. I ate meat 3-5 times in my first year of being a vegan; and by doing so I was able to show myself exactly why meat was no longer a preference for my diet. Also, be sure to avoid the dogmas of other vegans. Like I stated earlier it is not a religion and there are no awards being handed out for avoiding white rice and bread. Just focus on moderation and avoid processed foods as much as possible. If you absolutely must eat processed foods, be sure to read the ingredients. Avoid eating artificial additives, dyes and anything that appears to belong in a chemistry book or at least research it if you aren’t sure what it is. You’ll naturally cut out the foods that are harming you as you continue to expand your body awareness and listen to its signs. Use social sites like Pinterest and Instagram to look at meal ideas and get new recipes and if you don’t have any social sites a simple google search will do. Lastly, never hesitate to email me and ask for suggestions or additional tips. Use me up while I still have the availability to respond to emails personally. Until next time fellow Market LOVrs, stay balanced and be well. Kyle Johnson is a native and resident of Long Beach. 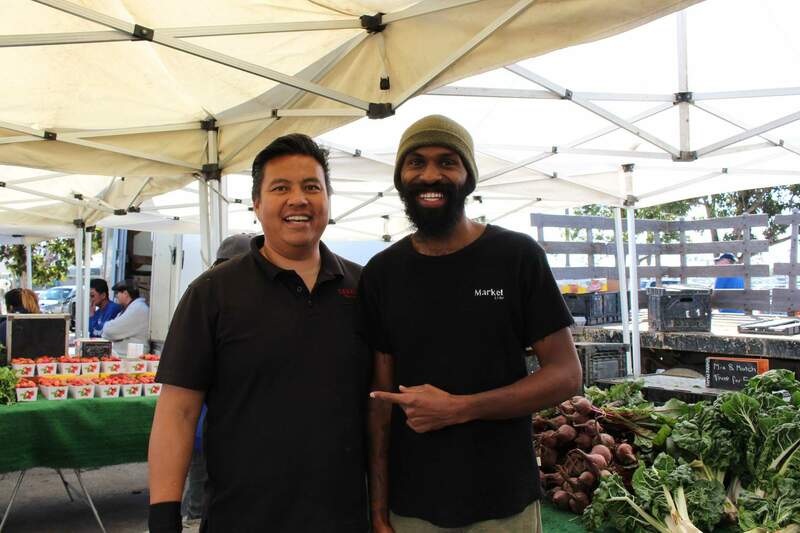 He dedicates his time and experience to community activism through his culinary skills. Kyle founded Market LOVr. 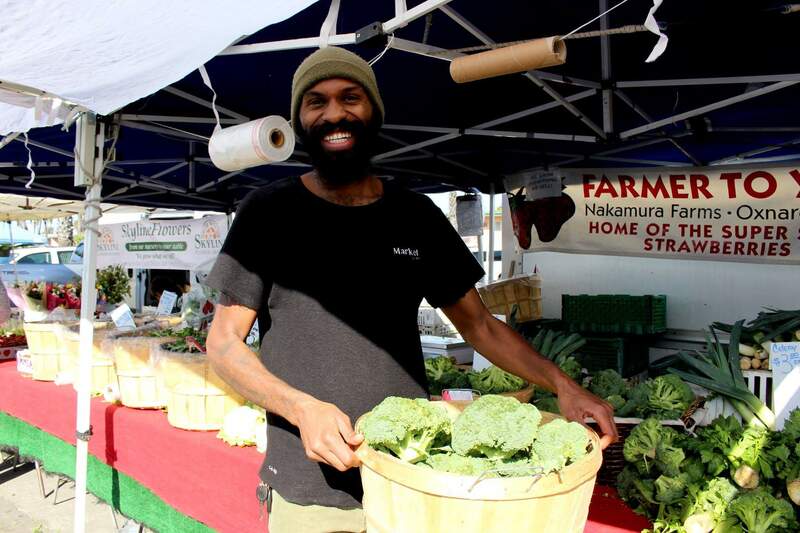 in 2011, to help “Bridge the gap between farm and table” by promoting the benefits of buying and eating local produce and teaching ways to utilize fresh produce creatively once acquired, through cooking classes and donation based food demos at local Farmers markets.